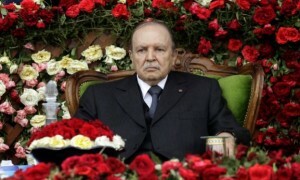 On March 26-28, Egypt will hold Presidential elections. Current President Abdel Fatah al-Sisi will be running for reelection against El-Ghad Party leader Moussa Mostafa Moussa. Moussa has stated that he supports al-Sisi for president, despite his own candidacy. Numerous political opposition leaders declared a boycott of the elections, in protest of the current administration’s detention and alleged pressure on previous candidates to withdraw. The outlawed Muslim Brotherhood political organization and other anti-government groups have yet to release official calls for protests during the elections. In recent weeks, authorities announced arrests of Muslim Brotherhood elements “seeking to interrupt the elections and endanger public safety.” On less frequent occasions in past weeks, security forces apprehended militants belonging to the Hasam Movement, a militant group comprised of pro-Muslim Brotherhood elements, who were “planning to carry out attacks during the elections”. Considering al-Sisi’s current competition in the election, the result is likely predetermined, and al-Sisi will be reelected for another term. Moussa’s candidacy is likely meant to provide the elections with an appearance of being democratic and to lend credibility to al-Sisi’s mandate as head of state upon his reelection. The successful removal of all serious candidates is indicative of the support al-Sisi maintains among Egypt’s military and security elites, who trust that he will protect their interests, especially their financial stakes and Egypt’s overall stability. The detention of two former high-ranking figures of the armed forces demonstrated this, namely former Prime Minister and Egyptian Air Force (EAF) Commander in Chief Ahmed Shafiq, and former Chief of Staff of Egyptian Armed Forces (EAAF) Sami Hafez Anan, who both subsequently left the Presidential race. Al-Sisi could not have placed these long-serving, well-connected military rivals into custody if he did not have the backing of the Supreme Council of the Armed Forces (SCAF) and the heads of Egypt’s intelligence service. In light of this, al-Sisi will likely retain this support in the coming years, rendering a change in the country’s leadership improbable. Though calls for holding anti-government protests during the elections have yet to be issued, they will likely be released in the coming days, given widely held sentiments against the current leadership, and a view of the elections as undemocratic prevailing among the public. Muslim Brotherhood activists release calls for nationwide protests on a weekly basis, and the theme of their anti-government protest activity in the coming week is liable to focus on denouncing the al-Sisi Presidency and elections as illegitimate. Thus, the Muslim Brotherhood and other opposition groups will likely stage protests in conjunction with the elections. FORECAST: The rate of protest activity will likely rise over this period relative to recent months. Some of these will be planned, and others will occur on a sporadic, spontaneous basis, likely near polling stations. The protests may devolve into civil unrest, featuring scuffles and localized clashes between participants and security personnel. This would stem from the anti-government nature of the demonstrations and heightened sensitivity over the elections. Events of this volatile nature would likely be forcibly scattered by security forces, including through the firing of tear gas and rubber bullets. However, this period is unlikely to witness the type of destabilizing unrest seen during Egypt’s revolution and subsequent political upheaval of 2011-2013. In more recent years, the rate of anti-government protest activity and unrest has declined significantly. This is due to various government measures, including the arrests of thousands of anti-government activists and their leaders. This has left such groups without much of its capable leadership who organized political operations and demonstrations, and deprived of a large share of their membership. Citizens’ political will to engage in major protest campaigns has also likely markedly diminished, given protesters’ general lack of success in achieving their goals, and the human toll taken over the course of their pursuits. Moreover, in advance of recent sensitive political dates and events, authorities have also closed off symbolic places previously used as protest sites, including Cairo’s Tahrir Square, as well as main thoroughfares. This has prevented protests from materializing, thus averting large-scale violent incidents as seen in 2001-2013, and stopping protest movements from gaining traction and momentum overall. Authorities will once again implement this security strategy from May 26-28, which will likely be effective overall in containing and preventing anti-government demonstrations. The rate of militancy-related events in mainland Egypt, including attacks and arrests of militants, has declined in recent years, and more so over past months. However, the potential for militant attacks on March 26-28 will be relatively heightened, as militant groups seek to damage al-Sisi’s reputation for tackling militancy, presenting him as unable to secure the country. A successful attack during the period of the Presidential elections would attract wide media attention for the militant group responsible, given the public and symbolic nature of this period. This would bolster the militant group’s profile, including by its members and supporters, possibly motivating further attacks and drawing recruits to its ranks. This is underscored by an IED attack targeting Alexandria’s chief of police on March 24 which authorities have stated was carried out by the Hasam Movement. A further example of such an event is the most recent attack in mainland Egypt claimed by IS, namely the operation targeting a Coptic Church in Helwan during the holiday season, on December 29, 2017. As to the statements released by IS and its Sinai-affiliate threatening and calling for attacking polling stations and associated installations, these were likely aimed to deter Egyptians from voting, thus lowering the participation rate in the elections. This would further undermine al-Sisi’s mandate in the view of the Egyptian public, and diminish the reputation of the country’s authorities. This corresponds to IS’s overall strategy in Egypt, which is to weaken Egypt’s leadership, damage the State, in turn replacing it with an Islamic State in the future. Another Sunni jihadist group posing potential dangers during the election period, is the relatively new Jamaat Ansar al-Islam, which was responsible for the large-scale October 20, 2017 Bahariya Oasis attack. According to reports, Jamaat Ansar al-Islam has gained dozens of new members in recent months, including Islamist former members of the security forces, and an attack during the elections would greatly publicize the group’s existence and present it as especially capable. 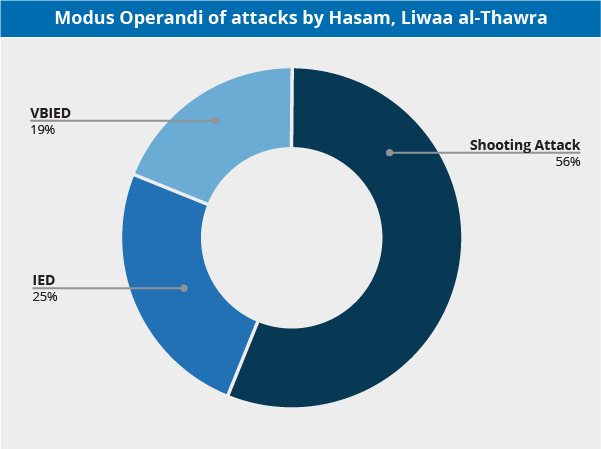 The Hasam Movement, and similar militant groups consisting of pro-Muslim Brotherhood elements such as Liwaa al-Thawra, likely see the election period as a particularly attractive time to launch attacks. This is in response to the Muslim Brotherhood political organization’s continued banned status and removal from the sanctioned political landscape, and in response to authorities’ ongoing crackdown on the group’s members. These groups target security personnel, government officials, and those aligned with authorities. That said, bystanders face a threat of collateral damage in the event of the attacks. Overall, these groups have not been especially active of late, and the last claimed attack claimed was for an IED detonation at the Myanmar Embassy in Cairo on September 30, 2017, which Hasam claimed to have executed. However, the groups remain in operation, as indicated by periodically recorded arrests of their members over past months, and thus, they pose a persisting threat, especially during the symbolic election period. FORECAST: Over the coming days, authorities will implement bolstered security protocols around the country, including posting additional security personnel, especially near polling stations and potential protest sites on May 26-28. Security forces will likely carry out raids targeting both militant elements and anti-government activists, to mitigate the potential for militant activity and larger-scale civil unrest to unfold. However, comparatively large gatherings of security personnel present attractive targets for militant groups, which may draw the attention of such elements during the elections. Citizens may view additional security personnel at protest sites as oppressive, exacerbating tensions between the sides, and fomenting localized unrest. On March 26-28 avoid nonessential travel to the vicinity of polling stations, given the heightened threat of militancy and protests posed to these locations during this time period. Allot for disruptions and plan alternative routes for travel due to the likely closures of main roads and thoroughfares concurrent with the elections. Avoid nonessential travel to the Southern Sinai Peninsula, while maintaining heightened vigilance in the Suez Canal Zone, the Upper Nile area, and the Nile Delta region due to an increased risk of unrest and the heightened risk of militant attacks. Before traveling to Sharm al-Sheikh, confirm that flight operations are continuing and have not been impacted by recent militant threats. In Cairo, maintain heightened vigilance and continue to allot extra time for travel due to possible delays emanating from increased security deployments, checkpoints, and closures throughout the capital. Remain vigilant in areas surrounding and avoid the immediate vicinity of government installations, police stations, and religious centers, particularly churches, as these locations remain under elevated threat of militant attacks. When traveling in central squares, or in areas with persistent police deployments, avoid the immediate vicinity of security forces, particularly fixed traffic booths, as such personnel and facilities have increasingly come under attack by militant elements. Of the several militant groups that operate in mainland Egypt, the two most active ones currently are the Hasam Movement and Liwaa al-Thawra, both composed of disenfranchised Muslim Brotherhood elements. While these are overtly two separate entities, there are many similarities between the groups that point to a joint origin, as well as possibly ongoing cooperation. 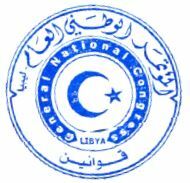 Regardless, both groups proved to be of high and growing capabilities, and are thus likely to attempt to continually expand their operations throughout mainland Egypt and conduct more sophisticated attacks targeting governmental locales, individuals perceived to be associated with the government, as well as security forces. Both the Hasam Movement and Liwaa al-Thawra subscribe in essence to the ideology of the Muslim Brotherhood, and set as an objective to remove the “regime of the military coup” and replace it with what they perceive as the democratically elected and legitimate Muslim Brotherhood-led government, similar to the model of the June 2012-July 2013 government. However, one distinct difference between these groups and the current official Muslim Brotherhood leadership is the approach towards the application of violence. While the official stance of the current leadership of the Brotherhood movement is that it should be a “peaceful and democratic organization”, the approach of the militant groups is to sanction measured violence in the context of achieving the political movement’s overall objectives. In this context, while given the organizations’ structures and their opaqueness, the characteristics of the relationship between the Muslim Brotherhood and the militant groups remain unclear, there are two likely possibilities, which are not necessarily mutually exclusive. First, the dichotomy could be a manifestation of an internal struggle between an “old guard” that adheres to the guidelines of avoiding the use of deadly force, and a “new guard” that grew frustrated with the perceived inability to achieve the political goals strictly using non-violent means, prompting it to change strategies. The second option is that the disconnect between the political movement and the various militant groups is maintained at an overt level only, in order to avoid causing a delegitimization of the whole Muslim Brotherhood movement. However, in this scenario, there would be at least a limited covert direct communication and subordination system. Should this be the case, it would mean that the entities in effect serve as a political and military wing of the organization, even if this structure is only accepted by parts of the overall movement. Naturally, both Hasam Movement and Liwaa al-Thawra’s modus operandi and target selection are derived from their ideology and strategic goals. The militant groups target government facilities and personnel perceived to be associated with the government, as well as members of the judiciary. This is due to the perception that they are an integral part of the crackdown on the Muslim Brotherhood, given their role in sentencing members of the group to prolonged incarcerations and even to death. Additionally, the main target of attacks are member of security forces, as they are perceived as those executing the will of the “illegitimate regime”, and are the main operational threat posed to the militant groups. As a result of this, the groups are less likely to target Westerners, Western institutes and strategic facilities. The main reason for this is that their vision is to ultimately restore complete control over Egypt while causing as little damage to its infrastructure and core as possible, as they will need these elements, along with foreign tourism and investment, to more easily govern the state in the future. That said, it cannot be ruled out that the radicalization process that caused their creation will persist should the groups fail to reach their objectives, prompting them to conduct high profile attacks and attacks against soft targets out of desperation, however this remains a remote possibility at this time. Nonetheless, despite currently discreetly targeting state actors and attempting to avoid civilian casualties, some of the attacks by the groups caused collateral damage, thus indicating that they are willing to accept causing at least limited civilian casualties in order to achieve their goals. 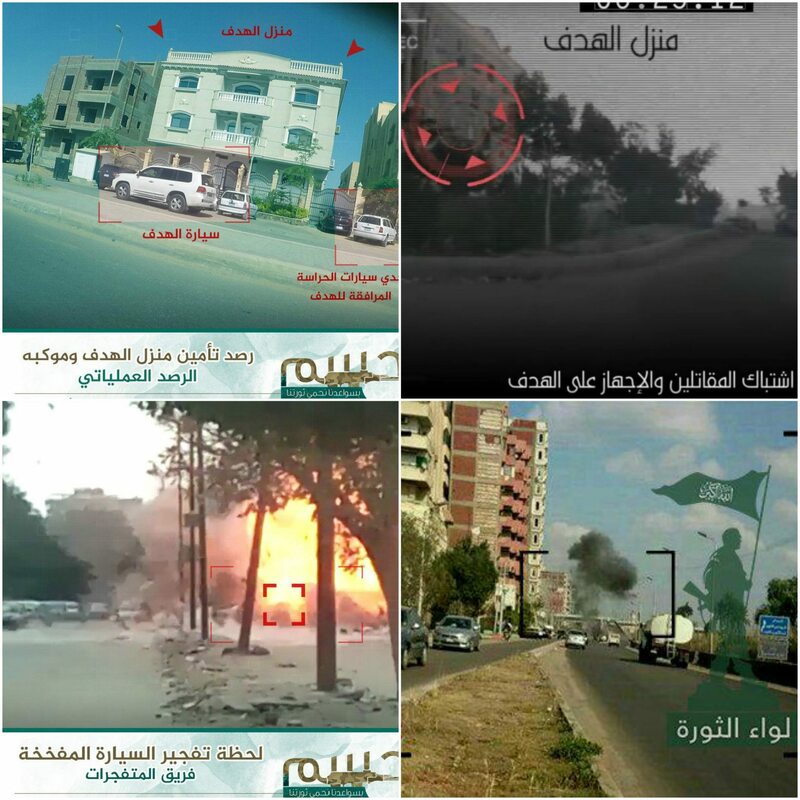 Furthermore, both Hasam and Liwaa al-Thawra’s capabilities were relatively high to start, as shown by their own published videos depicting their training, as well as by their attacks which at times are aimed at high-value targets. This is further indicated by the claims of responsibility for these attacks, depicting mostly advanced surveillance and intelligence collection techniques, as well as tactical proficiency. This itself serves as an indication that members of the group have previous training and experience, which may be due to previous membership in now defunct militant groups, such as Popular Resistance in Giza, Revolutionary Punishment, or even Ajnad Misr. This may also indicate that the groups have attracted former members of the security establishment, who became disillusioned with the state of affairs of post-revolution Egypt, and applied their skills in the ranks of these militant groups. Additionally, while both groups showed relative high capabilities since inception in July-August 2016, these have continued to progress with time, from very limited scale operations such as assassinations, to larger scale and more sophisticated attacks, such as vehicle-borne IEDs (VBIEDs). While Hasam is the slightly more veteran of the groups, the fact that the development in capabilities of both groups overlapped may serve as an indication of direct cooperation. Videos issued by the respective groups show emphasis on similar tactics and using similar techniques: Assassinations, drive-by shootings, IED making, assembly and activation, firing ranges with small arms fire and shoulder fired rocket launchers, small unit tactics- including combined and coordinated attacks by several small forces. Moreover, and in addition to the aforementioned similarities in modus operandi of the attacks themselves, the claims of responsibility by the respective groups use similar graphics and put an emphasis on the intelligence collection and surveillance element prior to conducting the mission, as well as of the battle damage assessment phase after the attack is conducted. Furthermore, while never issuing a joint statement thus far, following the December 11, 2016 suicide bombing in a Coptic church in Cairo which was later claimed by the Islamic State (IS), both Hasam and Liwaa al-Thawra issued separate statements condemning the attack less than 15 minutes apart. Both statements used similar rhetoric, offering condolences to the victims and their families, stating that targeting “innocent Egyptians” should not be accepted, and that the only legitimate targets are those associated with the “corrupt government”. 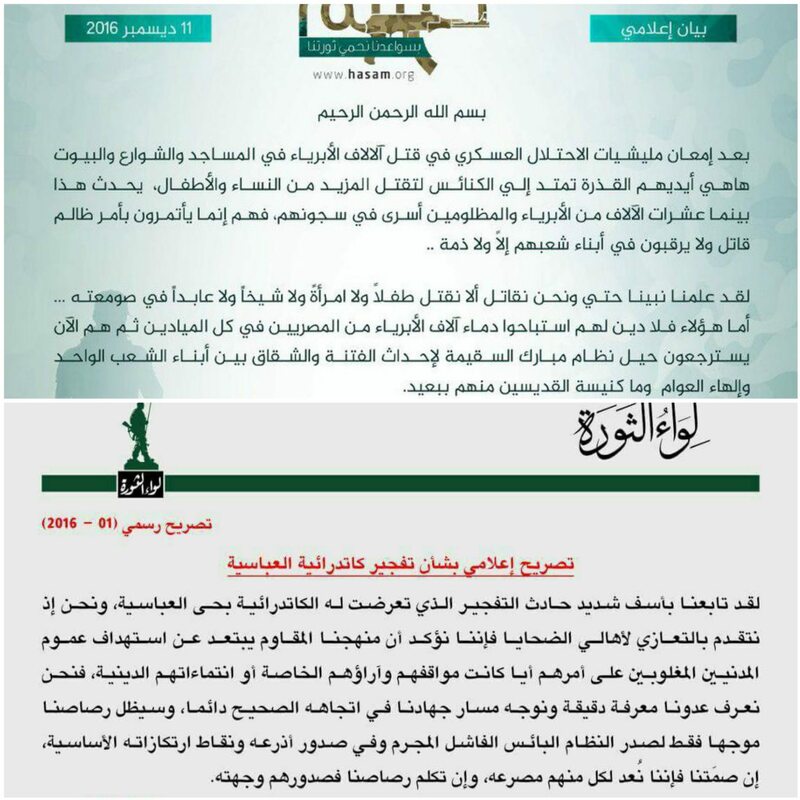 Statements issued by Hasam (top) and Liwaa al-Thawra (bottom) condemning the December 2016 suicide bombing of a Coptic church in Cairo. Lastly, following two of the overall three attacks conducted thus far by Liwaa al-Thawra, the Hasam Movement issued congratulatory messages through their official media branch, affirming the positive connections between the groups. Previous attacks conducted by both of the groups show that they are not constrained to a specific area of the mainland, and have the ability to operate throughout large parts of it. As the respective groups are likely not large, given the still relative low frequency of their attacks, this is a further indication of their operational capabilities. As a result, regional cells are probably dispatched between different locales to attack notable targets, in likely addition to local cells capitalizing on coincidences to attack targets of opportunity which are typically of lesser quality. This would also account for the large number of attacks in and around Cairo, due to the city’s significance and the fact that it offers more quality targets. As the at least positive connection, and at most direct cooperation between Hasam and Liwaa al-Thawra had been affirmed, it remains possible that the two groups made a conscious decision, or were directed by a possible higher level leadership to remain separate. Such a conduct would reduce the risks posed to either of the groups in case cells of a different group are compromised, as information extracted from these will not threaten fighters, assets and plans of the other group. Such procedures and protocols increase the likelihood of survivability of each group, and significantly reduce the potential that they both will be fully eliminated, at least within close time proximity. The element of survivability had proven to be vital for both groups given their limited sizes and resources. Similarly, the fluctuations in their activities, along with the spread of their operations can also be associated with reducing their profile in order to evade the high intensity security operations waged against both groups. Thus, militants will go into hiding or completely escape the area, wait until immediate ramifications by security forces expire, or will exploit a weakness in their system, and then resume offensive operations. While such operations witnessed successes, killing militants from both Hasam and Liwaa al-Thawras in actions that were confirmed by the respective groups, the fact that the groups remain operational and even have expanded their operations is a testament to their overall high capabilities. With this in mind, while both groups may alternately limit their operations, particularly given the ongoing nationwide state of emergency, overall they are liable to seek to further expand their operations by conducting more notable attacks against high profile targets over the coming months. While security forces may foil some of these operations, given precedent at least some of these are likely to successful materialize. Furthermore, despite this desire to expand, both Hasam and Liwaa al-Thawra remain small in size and limited in resources, and given their proven experience and proficiency will be cautious of overstretching and overexposing themselves, thus any possible expansion in operation is liable to be measured. The January 29 coordinated and simultaneous attack against multiple targets in northern Sinai, by the militant organization Wilayat Sinai, highlights an ongoing shift in militant tactics, as well as an upgrading of their capabilities and the potential for additional attacks. Meanwhile, renewed accusations that the Muslim Brotherhood was involved in the attack and subsequent crackdowns on the group will likely continue to create a divide in the organization over the use of violence to “retaliate” against alleged police and military brutality. This divide will likely perpetuate near-daily militant attacks across Egypt, while carrying with it the risk of further expanding the operational areas of “Wilayat Sinai” to Muslim Brotherhood strongholds and other regions across the country. We advise against nonessential travel to Cairo and Alexandria at the time due to the persistent risk of militant attacks and civil unrest in major cities. Consult with us for itinerary-based travel recommendations. On January 29, the Islamic State (IS) affiliate in Sinai, Wilayat Sinai (formerly known as Ansar Bayt al-Maqdis), carried out multiple coordinated attacks on several targets in Sheikh Zuweid, Rafah, and al-Arish, with the main attack carried out in the latter. In al-Arish, reports indicate that militants attacked the Egyptian Armed Forces’ 101 Battalion headquarters, as well as multiple other targets, including a local hotel, various checkpoints, and the security directorate. 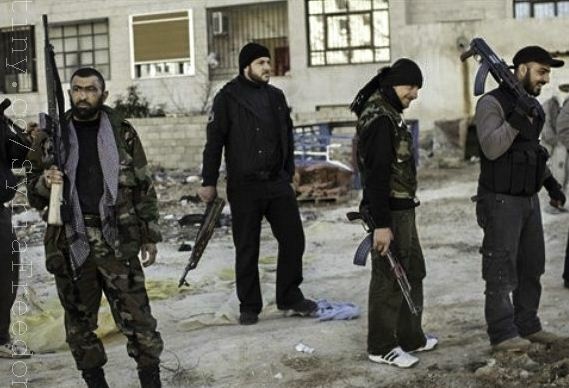 Militants used multiple car bombs, in addition to mortars and gunfire to overwhelm local security forces. Reports indicate that at least 32 people were killed and 100 injured. Wilayat Sinai claimed to have used more 100 fighters in the attack, as well as three explosives-laden vehicles, while claiming to have staged the attack during the night hours so as to “minimize” civilian casualties. Additionally Egyptian President Abdel Fattah al-Sisi made a public statement regarding the January 29 attacks and unrest, vowing to defend Egypt’s Sinai against “terror” and stating, “I have said it before and I will say it again, we are fighting the strongest secret organization of the last two centuries,” likely referring to the Muslim Brotherhood. Reports indicate that al-Sisi also created a new military entity to combat militancy in Sinai, following a meeting held by the Supreme Council of the Armed Forces (SCAF). Al-Sisi reportedly named General Osama Roshdy, the current head of the Third Army, as the head of the entity and promoted him to Lieutenant-General. Meanwhile, following the attack in Sinai, the Muslim Brotherhood issued a statement in English declaring, “We unequivocally condemn all acts of violence” and reaffirming the group’s “commitment to peaceful and political civil resistance”. However, the group also released an article on January 27, quoting Muslim Brotherhood founder Hassan al-Banna, urging its supporters to “prepare” for a new phase where “we summon all our strength and evoke the meaning of Jihad”. The statement also refers to the Secret Apparatus, a paramilitary operation created by al-Banna to fight the British mandate in the 1920s. The Muslim Brotherhood distanced itself from the organization on several occasions, and the existence of the organization remains subject to controversy. The Egyptian Ministry of Foreign Affairs released a document using the statement to show the Muslim Brotherhood’s alleged “double speak”. A Turkish-based television channel, affiliated with the Egyptian Muslim Brotherhood movement, aired a statement coming from the “Revolutionary Youth” issuing an ultimatum to all foreign nationals in Egypt during the morning hours of January 31. According to the ultimatum, all foreign citizens should leave Egypt by February 11, all foreign companies operating in Egypt should close down by February 20, and all foreign diplomats should leave and close down their embassies by February 28. In addition, the warning was extended to all tourists planning to visit Egypt, saying they should cancel their plans as they are not welcome. According to the broadcast, whoever chooses to ignore the warning will be targeted. The statement was then condemned by the Muslim Brotherhood in English; however, no such condemnation was issued in Arabic. The Egyptian authorities have reportedly requested that Turkey halt broadcasting the channel; however, unconfirmed reports suggest that no official complaint was lodged in Turkey at this time. While attacks in the Sinai Peninsula have been carried out on a near-daily basis, the recent attack in al-Arish is notable as it underscores militants’ increased capabilities despite ongoing military operations and the deployment of troops in the Sinai Peninsula. A similar attack was carried out in Sheikh Zuweid on October 24, with militants detonating a car bomb at a heavily protected checkpoint near the city, placing roadside bombs near the site to prevent reinforcements from arriving and then storming the checkpoint with several vehicles and simultaneously firing rocket propelled grenades (RPG). Such attacks underscore militants’ ability to gather intelligence, predict Egyptian military tactics, and carry out multi-stage attacks meant to overwhelm the main military strongholds in the peninsula. In this context, the October 24 and January 29 attacks underscore a shift in militant tactics. Militants had thus far used “hit-and-run” attacks against the Egyptian military, using either car bombs, roadside bombs, localized mortar or rocket attacks, or RPG and shooting attacks. However, the October 24 and January 29 attacks demonstrate militants’ ability to efficiently use a combination of all of these techniques to maximize casualties. Furthermore, the attack on January 29 underscores militants’ ability to drag the Egyptian military into hours-long ground clashes, as well as their willingness to directly confront the military. Such tactics, which are also riskier for militants, are likely a direct result of the increased militarization of northern Sinai, as militants need to use heavier firepower to attack highly defended military positions. Furthermore, it is possible, in light of the group’s allegiance to IS, that several tactics developed and used in Syria and Iraq were learned by Wilayat Sinai from IS. Despite statements from the military promising a harsh response and claiming the attack was the result of military successes in Sinai, the multi-layered attack likely raised doubts over the efficiency of the Egyptian military’s counterinsurgency campaign in Sinai. 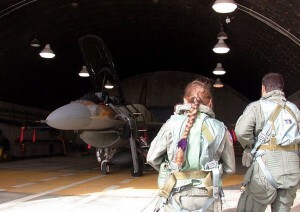 In this context, the attack followed a January announcement of the extension of the three-month long state of emergency in Sinai, which was initially declared in the aftermath of the October 24 attack, for an additional three months, as well the launching of the “second phase” in the establishment of a buffer zone with Gaza. With this in mind, the timing of the attack highlights the possibility that militants sought to demonstrate the failure of such measures, while further capitalizing on discontent among locals stemming from these measures. Finally, in light of the main target of the attack, the 101 Battalion headquarters, considered to be one of the most secured and fortified military bases in Sinai, the militants may have sought to “shame” the Egyptian military, and thus heighten the chances for a disproportionate crackdown on the peninsula, and on Islamists in general in the country. Such a crackdown is further likely, in turn, to alienate the local population and legitimize further attacks. Overall, we assess that the militancy threat will likely remain elevated in northern Sinai, in light of the persistent clashes reported after the attack. However, heavy military deployments in this specific area of the Sinai Peninsula, may also encourage militants to relocate and stage attacks in other locations of the peninsula and, to a lesser extent, of the country. 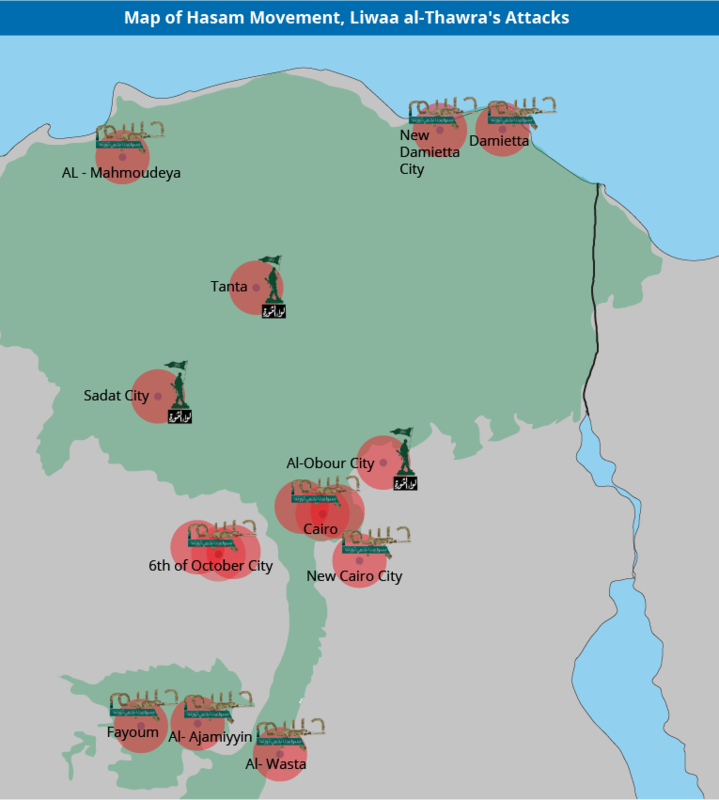 In this context, while the positioning of militants in the triangle between al-Arish, Rafah, and Sheikh Zuweid was likely strategic for the group in light of the smuggling of weapons to and from the Gaza Strip, increased military pressure on smuggling activities likely have prompted the group to develop other tactics. These may include, for instance, the use of boats to smuggle weapons and militants, given that despite the maritime blockade on the peninsula, the Egyptian navy’s capacities remain limited when compared to its ground counterpart. The group may thus attempt to develop ties with Bedouin tribes in the southern part of the Sinai Peninsula, while previous upticks in military activities in northern Sinai have also resulted in militants fleeing to other parts of the country. As a result, we assess that in addition to the militancy threat in northern Sinai, the coming months may see an uptick in Wilayat’s Sinai activity in southern Sinai, as well as in the Nile Delta and potentially at the border with Libya. In light of the declarations made by President Abdel Fattah al-Sisi, as well as past attacks in Egypt since the ouster of former President Mohammed Morsi, the crackdown against the Muslim Brotherhood will likely be widened following the attack in Sinai, as has previously been witnessed. In this context, while this trend is not new, the continuing accusation and crackdown has likely created a divide inside the organization between those who continue to advocate for peaceful protests to denounce the regime and those who advocate “self-defense” in light of the security forces’ use of violence to disperse the protesters. In addition, to increase pressure for the group to legitimize “self-defense”, several elements, namely the mass arrest of most of the Brotherhood’s leadership in Egypt, its relocation outside the country, and changes inside the organization, have further intensified this divide. This is further underscored by unconfirmed reports that the Brotherhood held two-month worldwide elections that led to leaders of the youth movement as well as reformist movements assuming a broader role, suggesting that new leaders are seeking to reform the group. Should the group’s leadership in Turkey or in other countries maintain its policy of nonviolence, it bears the risk of being increasingly sidelined and losing its remaining influence over the group’s supporters on the ground. On the other hand, should it decide to shift its stance and overtly promote violent actions, even those deemed to be “self-defense”, the group will likely face increased pressure both inside and outside Egypt, as the military-backed regime will likely use such statements against it. This likely explains the current ambiguity of the Brotherhood’s statements, and the fact that condemnations of violence have been made in English but not in Arabic. The recent statement on the Brotherhood-affiliated channel as well as the article advocating violence likely stem from this divide. Such a divide may further increase the chances that members of the group will leave if they do not agree with the group’s line, or that they will feel that attacks are justified, in light of recent aforementioned statements. Overall, we assess the attack in al-Arish will likely prompt an uptick in violence in Egypt, both in Sinai and across the country, as a result of the likely impending crackdown on the Muslim Brotherhood, and, as aforementioned, in light of precedent. Such violence will likely continue to materialize in continued IED attacks against the country’s security forces, infrastructure, and transportation system. However, as indicated by an uptick in attacks and threats against foreign companies, such attacks may increasingly expand to civilian targets deemed to be legitimate if they are deemed as “collaborating” with the regime. Moreover, we assess that low-level militant groups may increasingly serve as a gateway for disenchanted and former members of the organization to join the other more radicalized groups. While prior to the ouster of Mohammed Morsi, the ideological gap between the Muslim Brotherhood and militants groups, such as Ansar Bayt al-Maqdis at the time, was significant, disillusioned members of the organization can now gradually radicalize by passing from group to another, given the wide variety of groups using violence, including local Popular Resistance Committees that often claim IED attacks against security forces, the Ajnad Misr militant group, and finally Wilayat Sinai. Furthermore, as several elements of the Brotherhood may leave it and become increasingly radicalized, the operational areas of Wilayat Sinai in Egypt may expand to officially include a group in mainland Egypt. Regardless, the recruitment of disillusioned former members of the Brotherhood, as well as the fact that several members of the group may flee from Sinai to the Nile Delta, the border with Libya, or Libya itself, may increase the potential for sophisticated attacks to be witnessed in these areas other the coming months, as well as in major cities such as Cairo and Alexandria. For Iran and the Assad regime, intermission is over. The swift ending of the Gaza conflict is likely to thrust the bloodshed in Syria and the Iranian nuclear crisis back onto center stage, with an ever-invigorated Western-Arab alliance raising the curtain and directing the spotlight. Yet, in their overly-romantic portrayal of successful U.S. shuttle diplomacy and Egypt’s emergence as a responsible mediator, global punditry has underestimated the Ayatollahs’ continued ability to plunge the Gaza Strip back into chaos at their leisure. 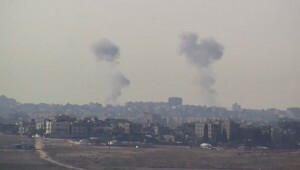 Smoke rises from IDF air strikes in the Gaza Strip during Operation Pillar of Defense. Iran purposefully and undoubtedly fired the first shots of this latest escalation, which began four days prior to Israel’s assassination of Hamas leader Ahmed Jabari on November 14. On November 10, militants from the Iranian-backed Popular Resistance Committees (PRC) fired an advanced Kornet missile at an IDF border patrol, igniting four days of hostilities between Israel and other Gaza-based militant groups, primarily Hamas and Islamic Jihad. The use of such a highly accurate weapon was a game changer, prompting the IDF to plan Jabari’s killing soon after as a response. While alliances between militant groups in the Gaza Strip are about as stable as quicksand, Israel has long maintained that it holds Hamas responsible for any violence emanating from the coastal enclave. This includes attacks from the PRC, whose successful use of a highly-sophisticated Kornet missile underscores just how advanced even fringe militant groups in the Gaza Strip have become under Iranian direction. Unlike Egypt, the Syrian government proved to be far too entrenched to be removed by civilian protests and international pressure alone. This realization and an increasingly brutal government crackdown spawned an inevitable militarization of the conflict, additionally fueled and intensified by Sunni elements throughout the Middle East, mainly Saudi Arabia, Qatar, and Libya. Although Sunni militants are no longer able to defeat Syria’s well-armed, motivated, and efficient fighting force in battle, they are leaning towards a strategy where bombings and other asymmetrical attacks on government and civilian targets alike are likely to become the norm for the near future in Syria. 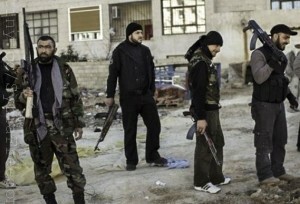 Hey Buddy!, I found this information for you: "Al Qaeda’s Syrian Front". Here is the website link: https://www.max-security.com/reports/al-qaedas-syrian-front/. Thank you.